What a shame to receive such a beautiful gift, if it is one that we will never ever benefit from. Many people live their entire lives in such an unimaginative state of mind. Who is to say that they never found happiness, but did they live up to their honest and true potential! Why were they so uninspired? The Soul of who we are comes with us each time we are born into a new physical life experience. Our Spirit craves with the hope and desire that we will learn, grow and evolve on this new adventure that we have been graciously given. How tragic it is to see so many of us imitate one another because of fear. To follow in the silhouette of another person, because we have never been able to walk in the shadow of ourself, what a misfortune this is. We settle for unoriginal because we are to naive to think that there maybe more than what we see on the surface of who we are. Our life becomes a secondhand story, with an old outdated plot and no surprise ending. The unfathomable and profound programming of who we have become holds us back from exploring the deeper and more philosophical pieces of ourselves. What lies beneath is a vibrant, passionate Spirited Being, full of pulsating energy and enthusiasm with a strong desire to break down the walls that we have been conditioned to build around us from the day we were born. Eventually there will come a day when the force and fiery true nature of who you are begins to chip away at the wall. Brick by brick the shallow and fearful walls begin to weaken. And if you are ready to face the truth, the wall will erode to a mere path of sand. 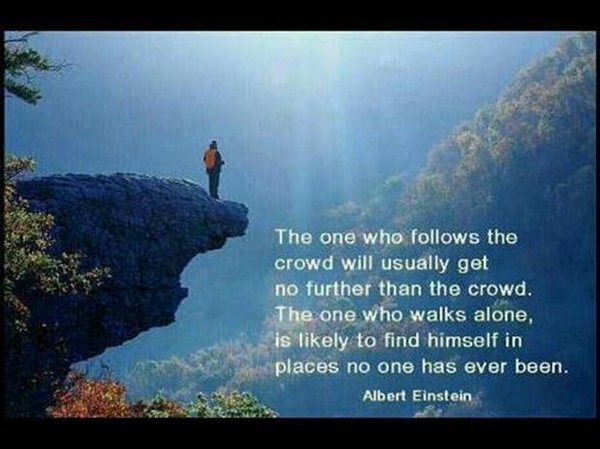 A path that you can leave your footprints on, as you follow in the shadow of your authentic Self. Are you ready to make your own path of sand?